There comes a time when our lips are in great need of intensive care, and my lips have been in definite need of a rescue these days! 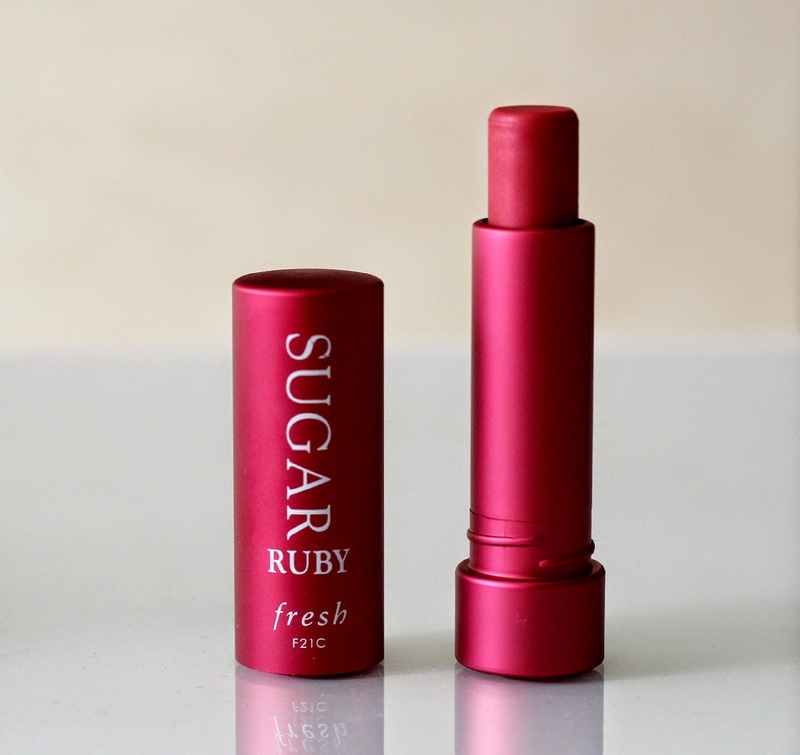 With temperatures quickly dropping and the chilly wind picking up, my chapped lips couldn't be more thankful for the new Fresh Sugar Lip Treatment in Ruby* which has been welcomed into my life with open arms. I am no stranger to the Fresh line as I have sampled the Original and Rosé Sugar Lip Treatments a couple of years ago as part of Sephora's Beauty Insider Birthday Gift, and I have to say, they left me feeling quite impressed! The new Fresh Sugar Lip Treatment in Ruby is the perfect addition for the holidays as it has a beautiful, sparkly red tint. Its iridescent finish, thanks to the addition of mica, a light reflecting mineral, is a first for the Fresh Sugar Lip line. Formulated with a handful of essential oils, such as jojoba, castor seed, grape seed, avocado, black currant, and sunflower oil, as well as (you guessed it!) sugar and nourishing vitamins A, C, and E, this intensive treatment is bound to restore moisture back into the lips. With an SPF of 15, this lip product will also come in handy to all winter sports lovers for when the sun is hitting strong, and of course will be a good option during the warmer months when the UV rays are most intense. The smooth texture is non-sticky and doesn't feel greasy, despite containing a variety of natural oils. This tinted treatment is also long-lasting, and I can go a good 5 hours before having to re-apply. I think the Fresh Sugar Lip Treatment in Ruby it is a great option for someone looking for a nice pop of colour but not wanting to commit to the usually very intense colour payoff of say a bright red lipstick. I love that it is packed with so many hydrating ingredients, and I find myself not having to re-apply as often as I do other tinted lip balms. 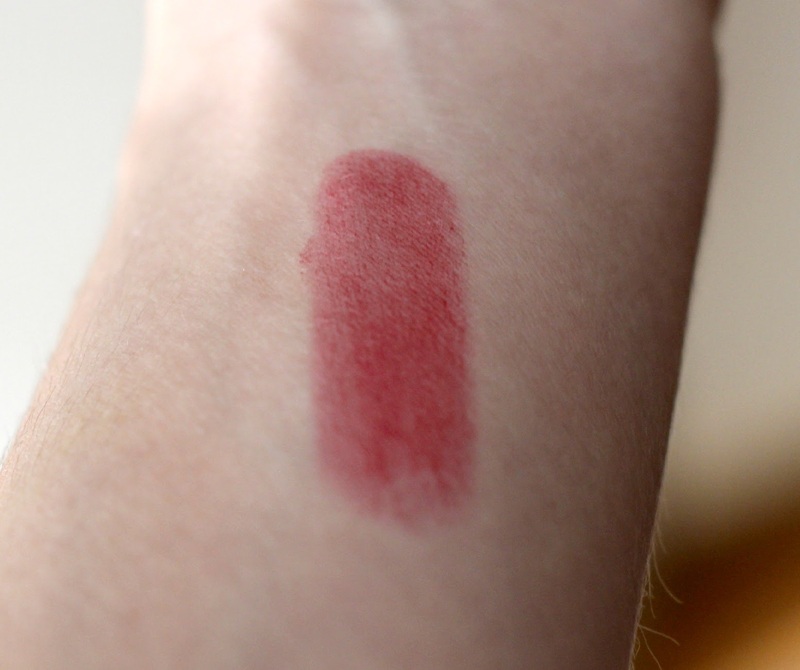 The stunning shade has truly won my heart! Interested in getting it for yourself or treating a special someone in your life to it? Fresh Sugar Lip Treatment in Ruby is now available at Sephora, both in stores and online, and retails for C$26. Are you a fan of the Fresh Sugar Lip line? Which product is your favourite? The colour is stunning - a real 'just been eating berries' shade! I've GOT to try this!! I've heard amazing things, but the color is just stunning. Love! In addition to Ruby, I love Honey and the lip treatment for night! I really like the line although I've only received it as my free birthday gift from Sephora! I have yet to purchase it directly. It sounds great. This time of year, my lips get so dry. My lips went to "insta dry" status as soon as the temps dipped below 30 degrees here. I cannot get enough lip balm, but I have yet to try a Sugar Lips. Love this shade, gives such a nice wash of color! And I see you are a host for another linky party (Wake Up Wednesday), love that one and have linked up there a few times! If you would be interested in being a co-host for Beauty Frenzy Friday, I would love to have you. I will be looking at incorporating co-hosts with the start of the new year (if not sooner), so let me know if you would like to join in!